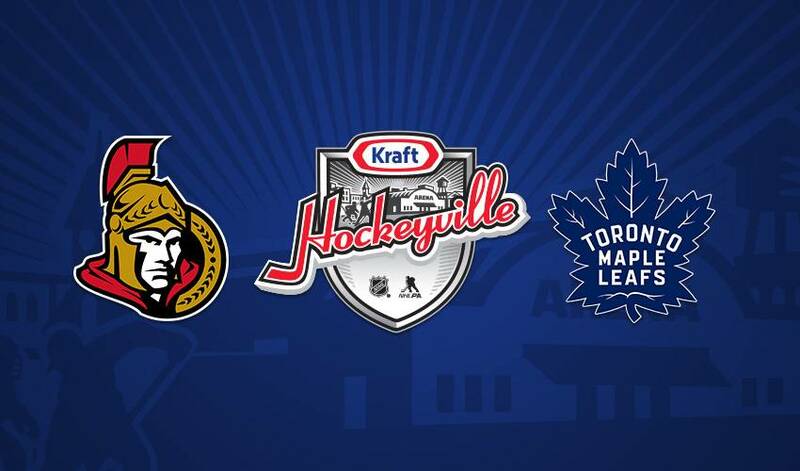 The 2018 Kraft Hockeyville-winning community Lucan, Ontario, will host the Toronto Maple Leafs and Ottawa Senators in a preseason ‘Battle of Ontario’ matchup on Tuesday, Sept. 18, 2018. TORONTO/NEW YORK (April 19, 2018) – The 2018 Kraft Hockeyville-winning community Lucan, Ontario, will host the Toronto Maple Leafs and Ottawa Senators in a preseason ‘Battle of Ontario’ matchup on Tuesday, Sept. 18, 2018. The twelfth annual campaign received more than 9 million votes across the country, with the Lucan Community Memorial Centre receiving the highest number of votes as previously announced by NHL Commissioner Gary Bettman during Hockey Night in Canada on March 31, 2018. Kraft Hockeyville Canada is a partnership with Kraft Heinz, the National Hockey League (NHL®), and the National Hockey League Players’ Association (NHLPA) to support local rinks and community centres. Since its inception in 2006, Kraft Hockeyville has awarded more than $3.2 million to 77 communities across Canada and has celebrated 11 NHL preseason games in eight different provinces. Tickets to the preseason game are free and awarded to the winning community. Details on how to get tickets will be provided to the community closer to game day. For more information, visit krafthockeyville.ca.